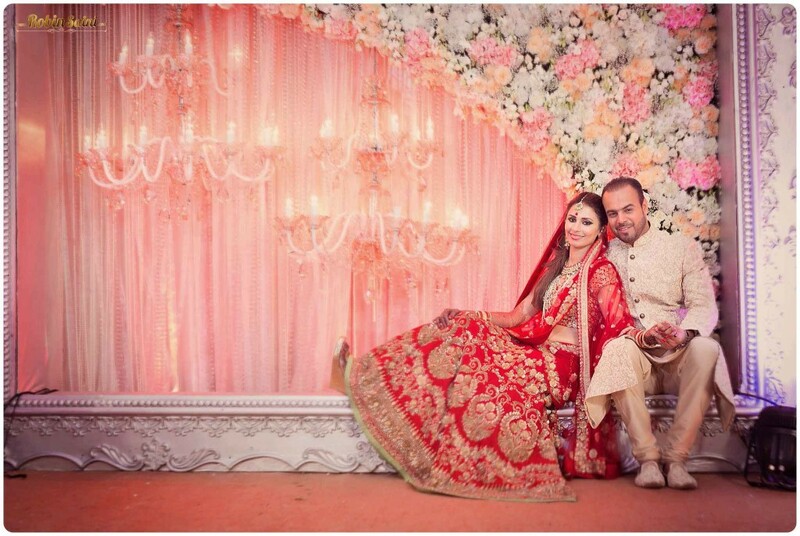 Wedding Stage Decoration Ideas for Glam Indian Weddings! Centre stage is where the magic happens! All eyes are on you as you climb up there with the most gorgeous bridal lehenga and breathtaking jewellery on – so why not make sure that wedding stage is decorated to perfection too? We’ve all seen the usual clustered floral arrangement and flowy drapes and LED screens. But it is time to go bigger than that. It’s 2016 and time to take things up a notch! It is time for over-sized frames and magical ribbons, for heart backdrops and whimsical wedding stage decorations! Get your Pinterest button ready cause once you set your eyes on these images, we’re sure you’re gonna want them for your wedding too! Our real wedding couples have inspired us with their wedding stage decoration ideas in various ways. From using unusual props to going completely regal-royal-esque right down to bright pink quirky designs – these wedding stage decorations have shown us that your space for the wedding reception need not be boring. 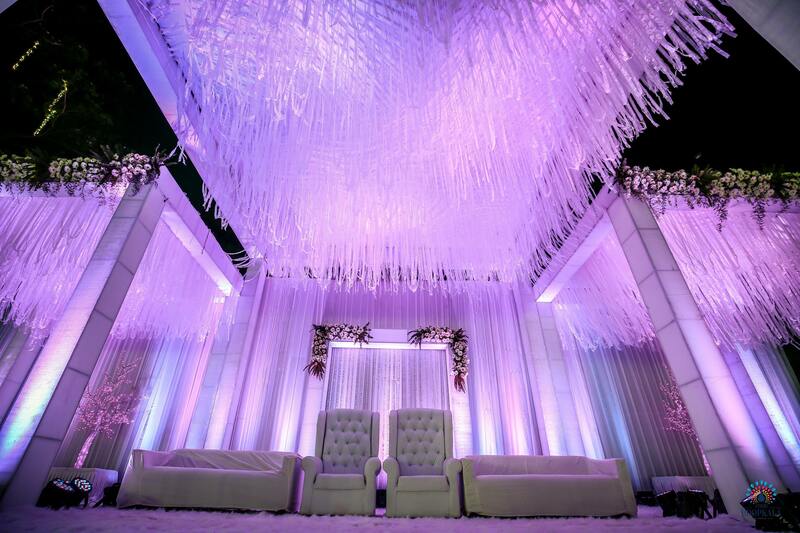 We show you 5 simple ways in which you can glam up your wedding stage decoration. All it takes is one good idea and top-rated decorator. So go ahead, scroll on and be inspired! 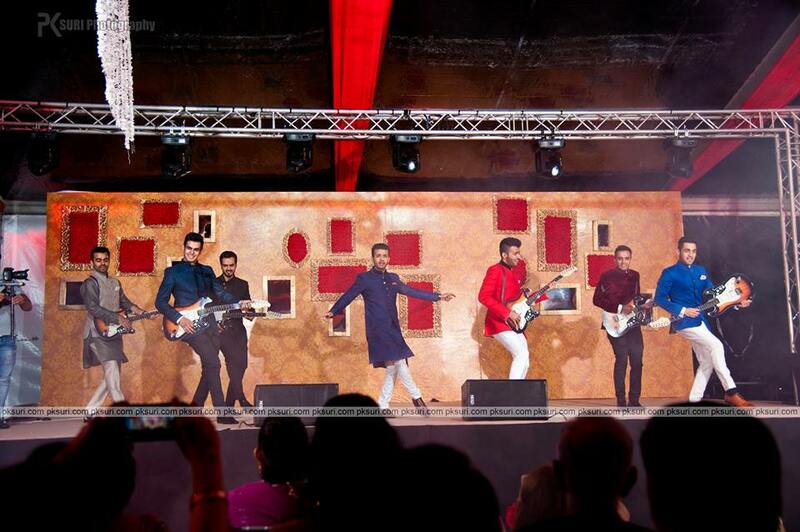 If bollywood is what you live and breathe then performing on a sangeet stage like this one is gonna be your dream come true! Big, flashy lights, background dancers and an awe-inspiring set up customized to the style and taste of your wedding! Can you ever go wrong with flowers? The answer is no. Not in a million years! These real couple's included gorgeous floral pastings combined with grass and other pretty elements in their wedding stage decoration for a whimsical feel. Whether they're real flowers, paper floral pastings or a floral printed background - these stage decor ideas can never do you wrong! Lights bring a magical feel to any wedding theme, to any wedding setting. Use ideas like these if you're a fan of all things sparkly and bright! A heart backdrop set up like this one or just a large wall of candles - whichever it is, you can always trust that the prettiness factor will be high with this one. Dangling ribbons, suspended lamps paired with fresh flowers and ferns is another way you can make your wedding reception stage stand out from the crowd. An abundant use of these ribbons will result in creating a perfectly breath-taking feel - one that will keep your guests taking pictures all night! Over sized versions of your favorite decor props make for an amazing wedding stage backdrop - like these oversized frames used with elements like grass, fairy lights, gold carved detailing and more!